The Charlotte Times: if you wanna pray, you PRAY! dont go broadcasting it! if you wanna pray, you PRAY! dont go broadcasting it! with your prayers is really gonna help Japan right now. but i think it makes you look really insincere. You wanna pray for them? Good, God bless you hunny. But keep it to yourself please! why not try to collect donations to aid their relief work? you don't publish your prayers? sympathy/proper conduct in sensitive situations. but the jokes about Japan and it's current crisis?! "what's the number one hated game in Japan?" but I'm not worried... there are plenty more in the sea"
please la, have a heart and help out! if you cant help, shut up. 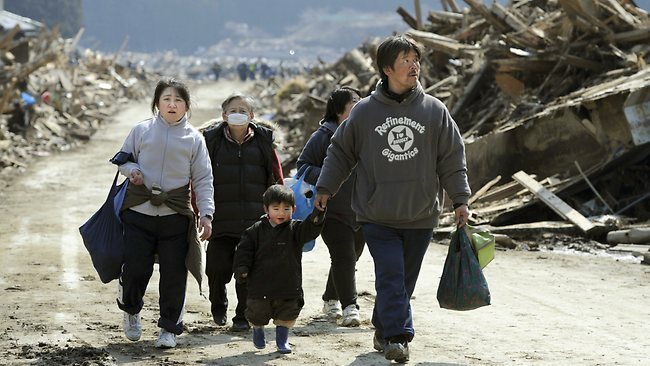 on the tsunami in Japan by this UCLA girl. showing Ultraman running away from a wave. and big tankers gets washed away by the powerful waves. so you wanna do good in your life? here's where you can help Japan if you're in Malaysia. Groupon Malaysia donates to Japan Red Cross! that the Japanese will get thru this. not use Nuclear power plants. But fear not, even with this big crisis, the citizens have been prepared for the worse and much more disciplined to handle the tough situation. @ Herng : we're still malaysians. just b careful of what we say that cud potentially hurt others. @Rungitom : i hope so too! :D wished they didnt hv to go thru this!